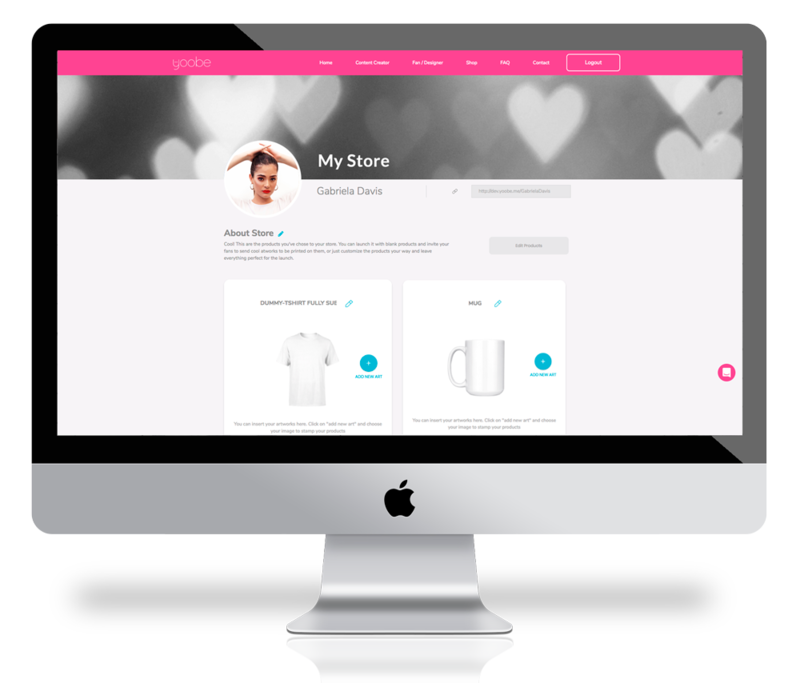 Create your merch store in 1-click and sell custom products with exclusive designs. Are you a Fan or a Designer? fan art and earn money when it's sold. On Yoobe it's easy as it should be! to set up your own merchandise store. Create your store with 1 click. No coding, no stress, and no headaches with supply chain. Sell products inspired by you and customized by your fans and designers. No monthly fees, no upfront cost, no minimum order, no stock or any other overhead expenses. Content Creator: Once you sync your social network profile, Yoobe’s A.I. will analyze your content, your audience and suggest the best products for your store. We'll help you engage your audience in a different way: invite your fans to create cool fan art for your products and choose the best ones to sell on your Yoobe store. Every time a product is sold, you and the fan that designed it get paid. Isn't that amazing? Fans and Designers: If you love a Content Creator this is your chance to share your fan art and make money with it! Be inspired by your favorite youtuber or instagrammer, and transform that into amazing customized products with your design. The fan art chosen by the Content Creator will be printed on their products and sold on their store. Yoobe puts you in charge! 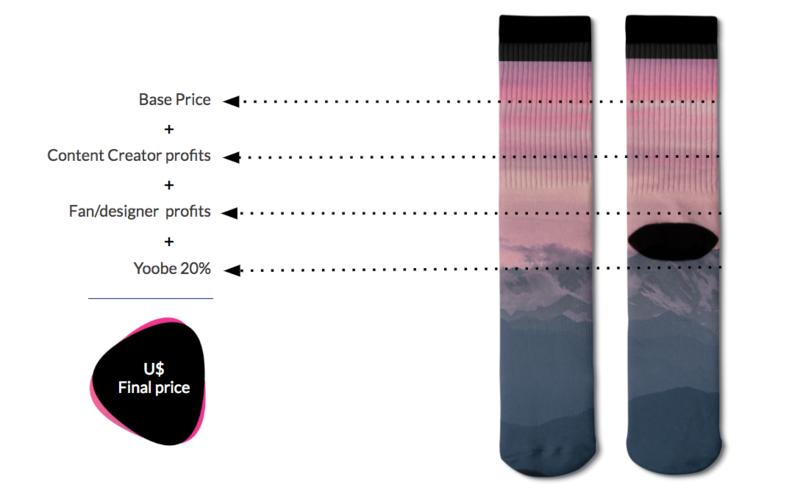 Whether you're a Content Creator or a Designer, here we share the real base price of the products, so you can determine how much you'd like to earn for each product sold.